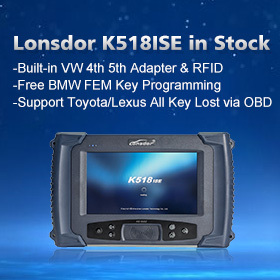 Lonsdor K518ISE Key Programmer Feedback on what work and don't work. - Mitsubishi ASX 2013 - year add key works. -K518 can work on Hyundai and kia smart system with 47, 8A chip, for 46 chip, you have to collect the copy password firstly then to calculate the pin code. -2017 Ford Escape smart key works on 49 chip. -Lonsdor K518ISE program Volvo V40 smart key successfully, you have to do CEM´s and KVM´s dismantling and reading first. supports 4th Immo system 202AD key. In another words, as long as the 4th IMMO can be read out data successfully by 202AD. all key lost bmw 540 cas2 japon model done. Nissan versa automatic pincode and program done, very fast.